In 2015 Mark was approached to take part in a white collar boxing match in order to raise money for Cancer Research UK. He thought this was a great opportunity to raise funds for something he had been personally affected by. 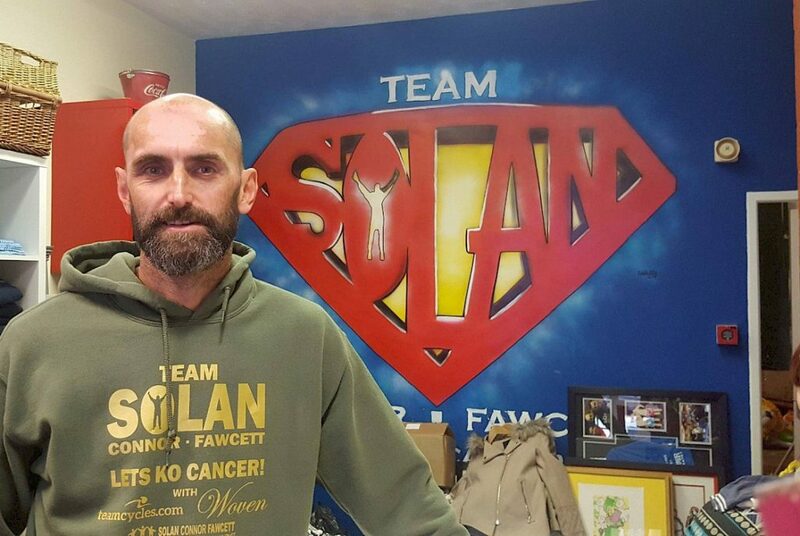 Mark raised £14,000 in total and had won his fight after 85 seconds in the first round. “Excited and inspired by my ability to raise that amount of money through donations, I decided I could do more to help those affected by this horrible disease. The shop is to be positioned between the ‘Charles Dickens’ hardware shop and the ‘Reeds Rains’ property company, to replace the previous ‘Generations’ shop. Team Solan are looking for volunteers based in Ferryhill who are able to give up their time to become part of the team. Volunteers can vary from having accounting, retail, or stocking experience to little or no experience at all. The aim of the trust is to provide a base within small towns such as Ferryhill, where people who have perhaps become isolated by cancer can go and feel part of a community. The shop welcomes any sort of donations; from clothing, footwear and accessories, to DVDs, CDs and Jigsaws.